TWO bedrooms down! 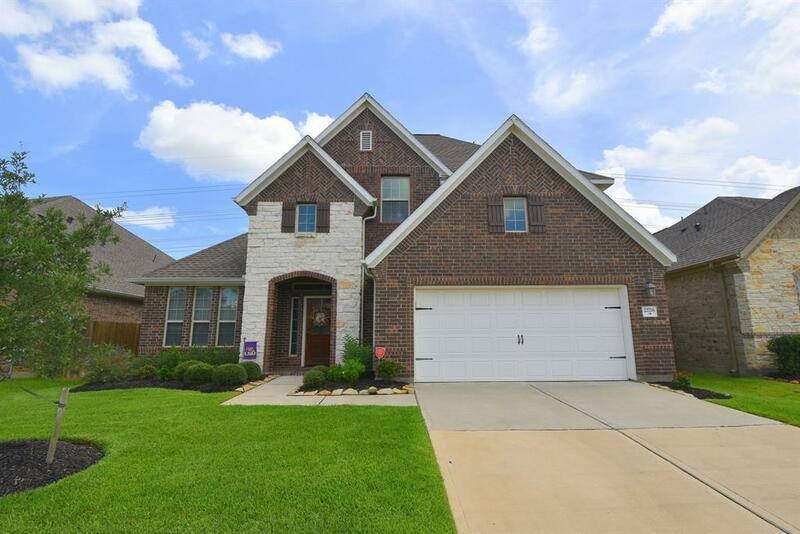 Open living spaces, elevated ceilings, 4 bedrooms, 3 full bathrooms. Covered extended back patio area. Attached 2 car garage with 5 foot extension for storage. Wood floors throughout the entry, formal dining, kitchen, & living area. 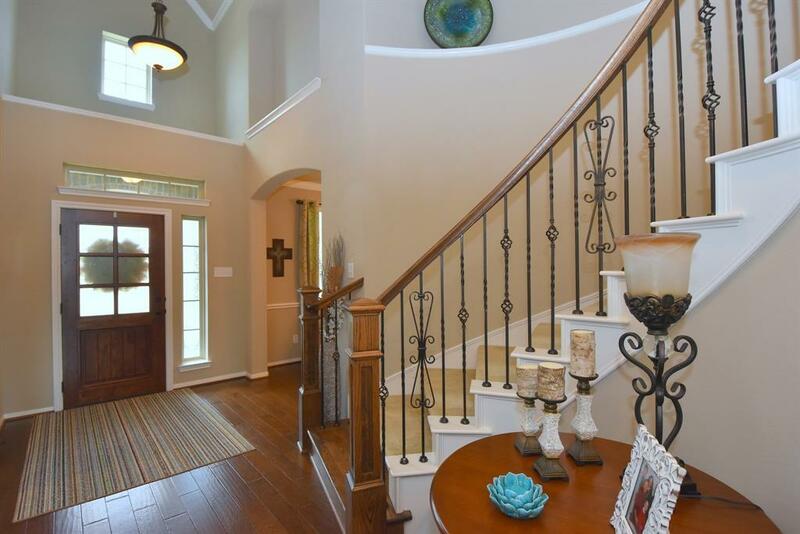 Impressive Foyer w/2 story ceiling. Custom door & pendant light. Curved staircase w/wrought iron balusters. Formal dining with 2" blinds, chandelier, crown & chair molding. 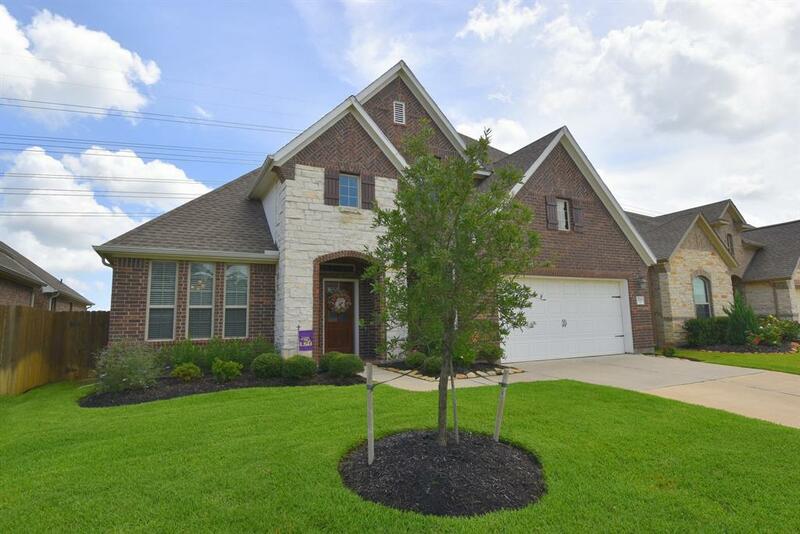 Gorgeous kitchen w/stainless steel appliances, gas cooktop, beautiful cabinetry, large island w/glass cabinets on each end. Curved breakfast bar w/pendant lights above sink. Tile framed gaslog fireplace. 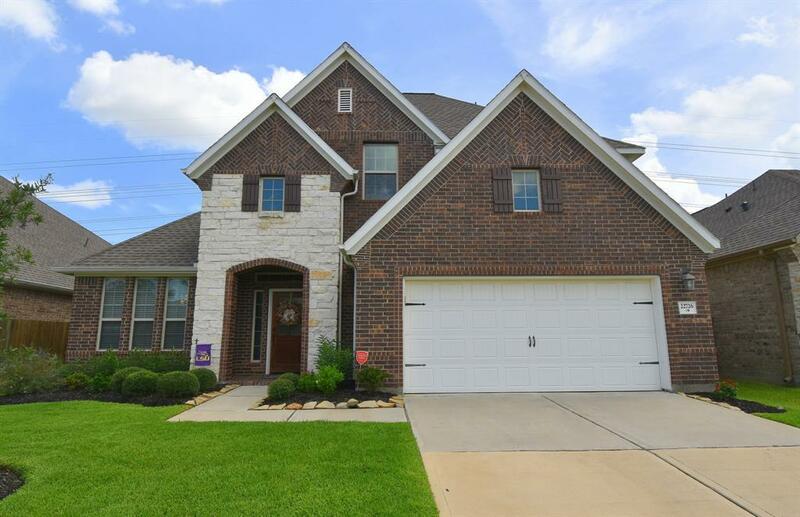 Large master suite w/garden tub & separate shower, marble vanity w/double sinks & great walk-in closet. Second bedroom down w/private bath & large closet. Two bedrooms up share a jack & jill bath w/ linen closets & large bedroom closets. Upstairs gameroom measures 21x16 w/lots of storage! Sprinkler system front & back w/easy access to 99. Yard is big enough for a pool!